After multiple postponements, the much-awaited sequel for super hit movie Robo is going to hit the screens on the 29th of this month in the Telugu states as well as Tamilnadu. The makers have cleared all the obstacles for the release and are kicked to welcome the response from the audiences. Meanwhile, we have got the much-needed clarity on the film's runtime. As per the ongoing reports on the media, the makers of the Telugu version have locked 149 minutes as the duration whereas the Tamil version's runtime is 148 minutes. 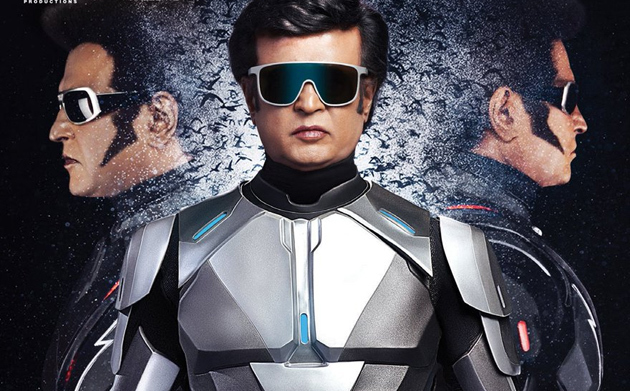 The buyers in both the Telugu states are betting high on this film as Rajinikanth did not have a proper hit in the last decade. Popular distributors NV Prasad, Dil Raju and UV Creations Vamshi have taken the daring step to release the movie in almost 1200 screens in the Telugu states. In spite of the negative buzz in the trade, they have dared to release the movie which is a gutsy thing. The movie is releasing in 750 screens of Tamilnadu, 500 screens of Kerala too. Considering the presence of Akshay Kumar in the film, the movie is also expected to have a grand release in North India too. The film was made on a budget of 500 crores and huge stakes are involved in the movie. The Telugu rights alone were brought for 80 crores which is a risk considering Rajinikanth's market. 149 minutes of the movie is going to decide if the risk taken by our Telugu distributors is worth or not. Directed by Shankar, the movie is produced by Lyca Productions. Akshay Kumar is playing the antagonist in the film. Subhalekha+Lu Trailer: Watch It For Female Lead!